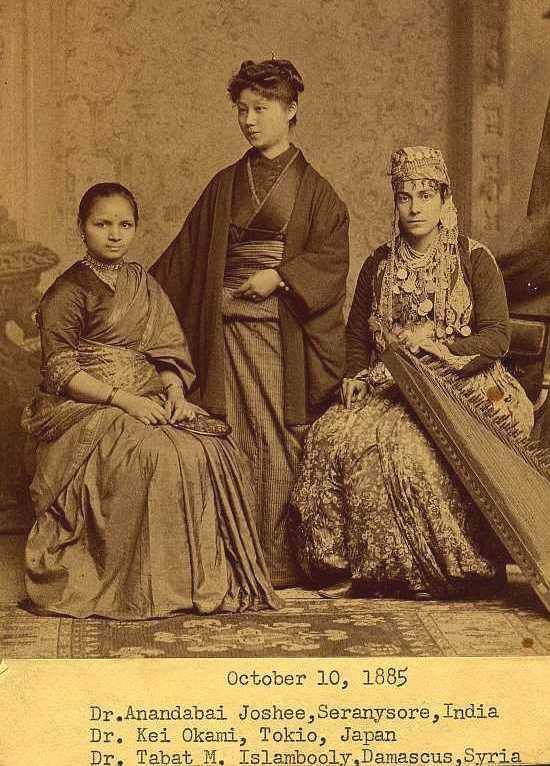 The young woman on the left was born on March 31, 1865 in Poonah, India, to a high-caste Brahmin Hindu family of the Maharashtra people. Her birth name was Yamuna, daughter of the sun. When she was 9, she married Gopalrao Joshi, a distant relative almost three times her age. He strongly believed in women’s education, so he taught her. Despite giving her the bride name of Anandibai, joy of my heart, Gopalrao was not a kind teacher. If she played hooky or helped her grandmother with the cooking, he’d beat her with canes or wooden chairs. At age fourteen, her only child, a boy, died at ten days old. After this, the couple fixated on her studying medicine. Gopalrao wrote to many missionaries for help, but they all wanted the couple to convert to Christianity first. In the spring of 1880, Theodosia Carpenter read one such exchange in the January, 1879 issue of The Missionary Review in her dentist’s waiting office in Elizabeth, New Jersey. She was intrigued and wrote to them offering assistance. Anandibai could read and write English, so she and Theodosia became regular correspondents, writing about their lives and customs—and about Anandibai coming to America. In 1882, she and Gopalrao decided that she would go to America alone, upsetting everyone who knew them. Brahmins were forbidden to cross the ocean, to eat food prepared by non-Brahmins, and to drink water that had been touched by foreigners. Doing any one of these things meant ex-communication. Hindu women needed female Hindu doctors. She wanted to study Western medicine both because it was the most complete, and because, in America, she wouldn’t be mocked in the street and spat at for seeking an education—as she already was in India. The speech was a rousing success. The Director General of the Post Offices of India not only gave them 100 rupees, but also administered a fund for her education. 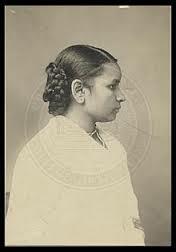 Finally, in April 1883, the 18-year-old left India and arrived in New York in June, spending the summer with Theodosia Carpenter in New Jersey. Here is part of her letter requesting admittance to the Women’s Medical College of Pennsylvania. On October 3, 1883 she began classes. 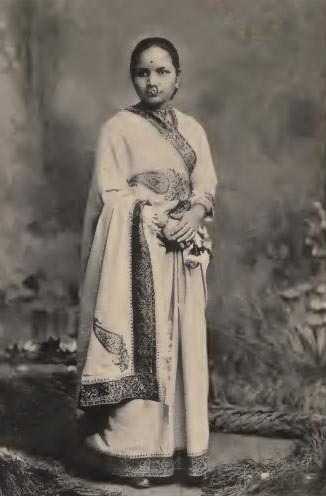 Anandibai developed a reputation for her calm demeanor, talking down a mental patient who had a knife, and enduring through to the end of autopsies of babies and children, but her health did not remain strong. She had several bouts of illness and by the time Gopalrao joined her in the summer of 1885, was probably already suffering from tuberculosis. She graduated on March 11, 1886 and accepted a position by June 12: Physician-in-Charge of the female wards of Prince Edward Hospital in Kolhapur, India. When they arrived home in mid-November she was very sick, but glad to discover they were celebrities, not outcasts. Wherever they went people of every caste prayed for her and newspapers printed updates about her health. She died on February 26, 1887, just shy of her 22nd birthday. Her ashes were sent to America to rest in Theodosia Carpenter’s family plot. The first Brahmin woman to leave India to obtain an education. The first foreign student at the Women’s Medical College of Pennsylvania who hadn’t converted to Christianity. 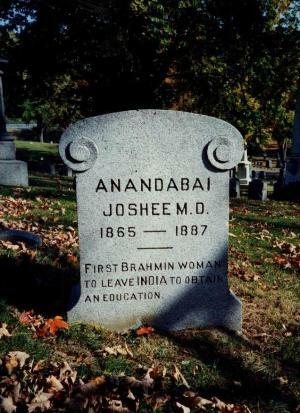 The first Hindu woman to be granted a Western medical degree. 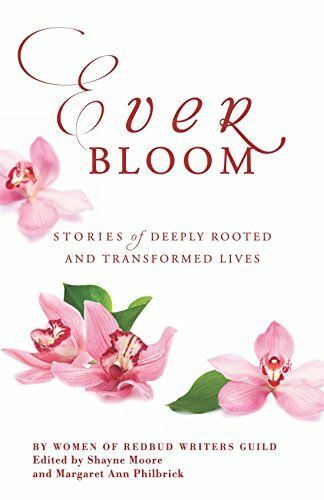 Natalie Hart is a writer of biblical fiction, a children's worship leader, dancer, mother of two teenagers, and wife to a rock n roll musician. She has lived in Canada, Australia, New York City and the mountains of Oregon. Family and cheap real estate drove her back to Michigan. 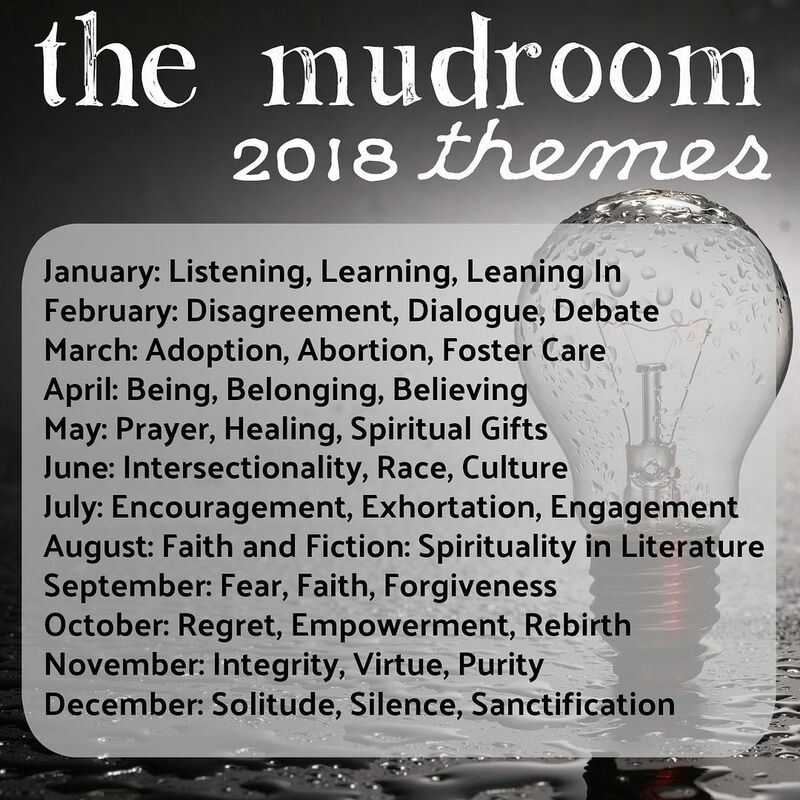 This entry was posted in Career, Church, Faith and tagged Anandibai Joshi, Baptist College Hall, Brahmin Hindu, Gopalrao Joshi, Maharashtra, The Missionary Review, Theodosia Carpenter, Women’s Medical College of Pennsylvania. Bookmark the permalink.